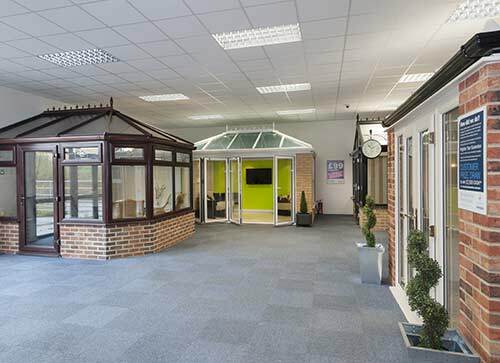 Discover Conservatories from Eden and see why homeowners throughout Whitstable choose an individually designed Conservatory at affordable prices. It’s a fact of life; every family will outgrow their home eventually. Whether it happens because of new children or years of accumulating possessions, space will become scarce overtime. When this happens you’re faced with a few choices. You can go through the lengthy and expensive process of moving to a new home or throw away a lot of your things. Or you can stay in your Whitstable home and get some extra space with a brand new conservatory from Eden. Add space, value and light to your Whitstable home with a bespoke Conservatory from Eden Windows. The cost of energy continues to rise and many homes in Whitstable find themselves in fuel poverty because of poorly insulated windows. This trend is only set to worsen if homeowners continue to persist with their old windows. Eden Windows urges all homeowners in Whitstable to look at replacing their old rotten timber windows and invest in quality double glazing as it is a proven way of driving down the cost of energy. Eden Windows replacement UPVC windows increase energy efficiency in the home as they allow little or no heat to escape from your property in Whitstable. They will also utilise heat generated by the sun and transfer it in to your Whitstable home at a comfortable temperature so that you can be less reliant on your boiler. As well as promoting energy efficiency, reducing your carbon footprint and being environmentally-friendly, Eden Windows will also make your home in Whitstable more secure. Each window design that comes off Eden Windows production line is fitted with a sophisticated and resilient locking mechanism. When locked, any threat of intrusion via your windows will be reduced dramatically as the glass inserted into each UPVC frame can only be removed from the outside and the lock is virtually tamper-proof. Any homeowner who purchases double glazing from Eden Windows will also be taken aback by just how they can revitalise their home in Whitstable aesthetically. Once fitted, your new replacement windows will give your property a fresh new look. They also require very little maintenance as all UPVC replacement windows are weather-resistant.